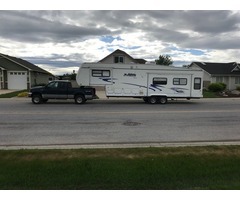 Need your boat, 5th wheel or travel trailer moved? 3 Travel Crates for Pets. 1 Wire collapsible crate: 24"L x 17"W x 19"T. 1 Wire collapsible crate: 30"L x 19"W x 21"T. 1 Soft canvas collapsible crate: 26"L x 19"W x 24"T. All 3 brand new, barely used.